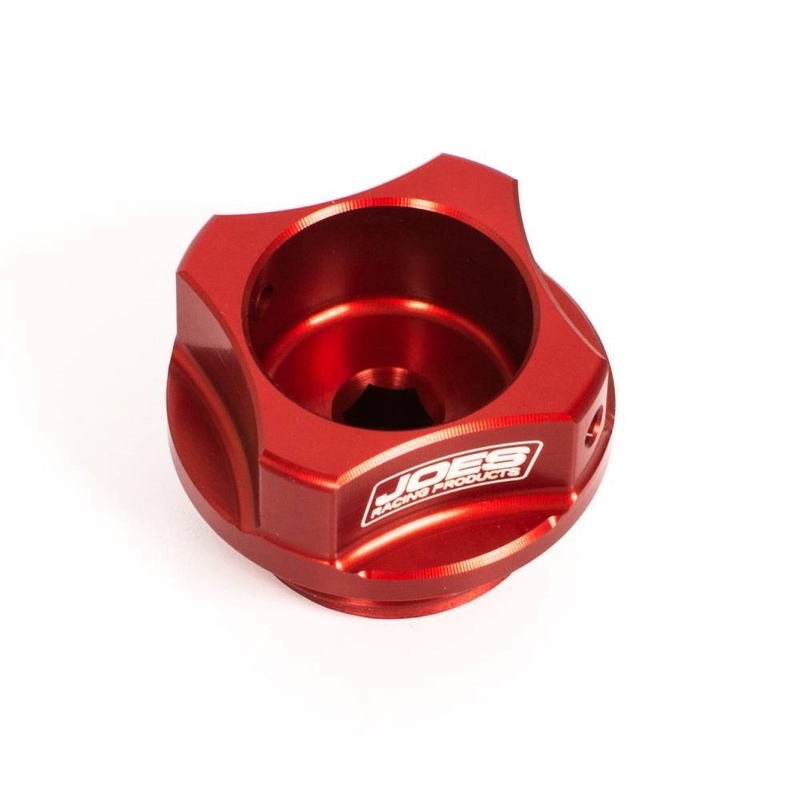 JOES Yamaha R6 Oil Cap is CNC machined from aluminum and anodized red. 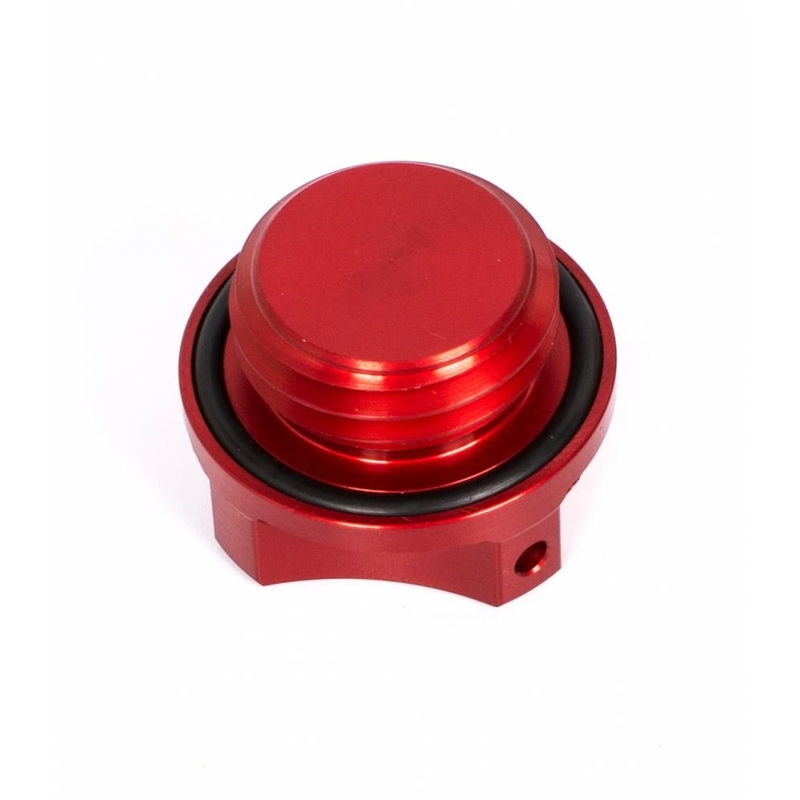 1/4″ Hex for easy tightening and drilled for safety wire. 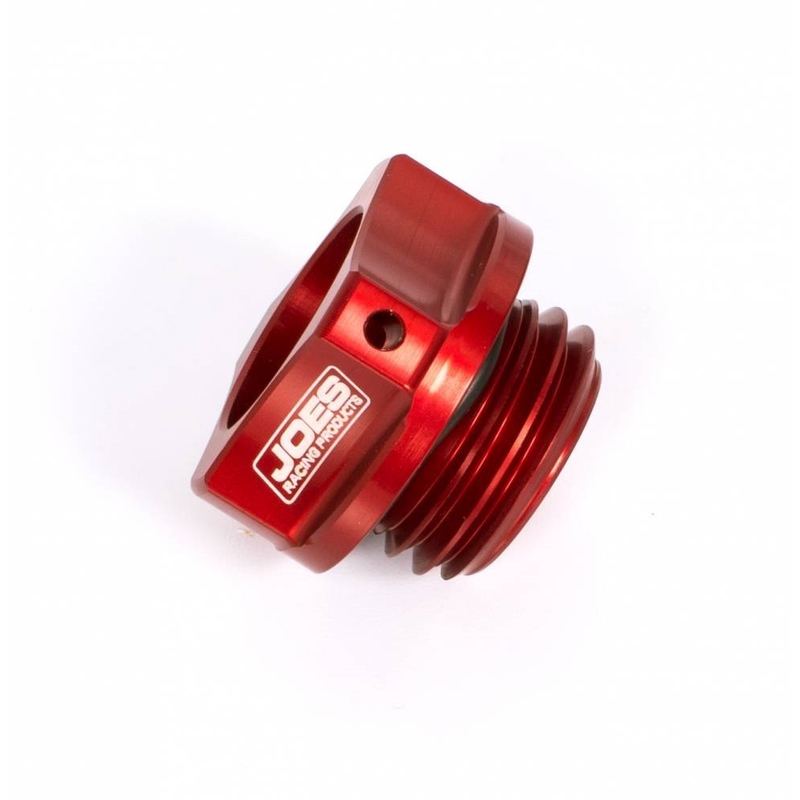 O-ring sealed to keep the dirt out of your expensive engine.